For sale at the door only. Shown here for planning purposes only because they are not offered for sale through the website. 2019 Sunday Night Passes: Dancing with live music by Ty Herndon, accompanied by two Acoustic Artists. More details to follow. The Sunday Night Pass for 2019 includes dancing at the live performance with Ty Herndon from 9:00 PM - 10:00 PM and music mixed by our DJs Louis St George and company into the late night hours. We look forward to seeing you at the Hyatt Regency Washington D.C. Labor Day Weekend! 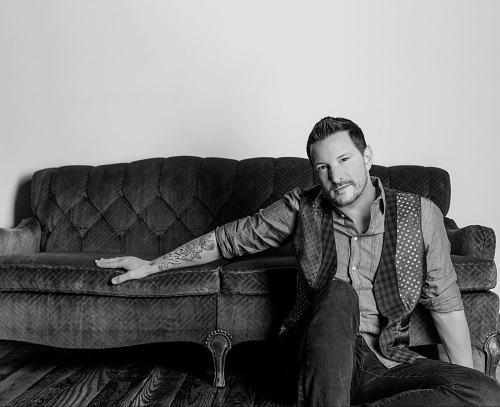 DC Out is incredibly excited to welcome Grammy-nominated and Dove award-winning recording artist Ty Herndon! Between 1995 and 2002, Herndon charted 17 singles, including his three No.1s and numerous top 10 hits, such as “I Want My Goodbye Back,” “Loved Too Much,” “A Man Holding On,” and “Hands of a Working Man.” He topped the charts in 1996 with the single “Living in a Moment” and again in 1998 with “It Must Be Love. In 2010, Herndon released his album, Journey On. The album received critical acclaim and earned him a Grammy nomination and his first Dove award. Herndon released Lies I Told Myself in 2013 and House on Fire in 2016. DC Out is supporting Ty’s fund for new LGBTQ performers tying to enter into the Country Music Industry and gave away tickets to the 2019 Love and Acceptance Concert to two lucky 2018 winners. This year, Full Weekend Pass holders will be eligible for a drawing for tickets to the 2020 Love and Acceptance Concert. The winning names to be picked by Ty on Sunday!